The FHA Real Estate Certification Form or Federal Housing Administration (FHA) Amendatory form is used when selling a home to a buyer with a home loan insured by the FHA. This form has to be signed by the buyer of the real estate, the seller and real estate agent as an acceptance of the certification form. Such a form amends any aspect of the sales contract that may require the buyer to forfeit money, pay a penalty or contribute additional funds in case the property fails to appraise at the contract sales price. The real estate rental certification form is issued along with a notice to the owner and informed consumer choice disclosure notice by the Department of Housing and Development. 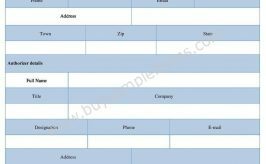 The certificate of real estate value form must be completed when it is required by law. Download Sample Real estate certification Form available online in either MS Word or Editable PDF format.